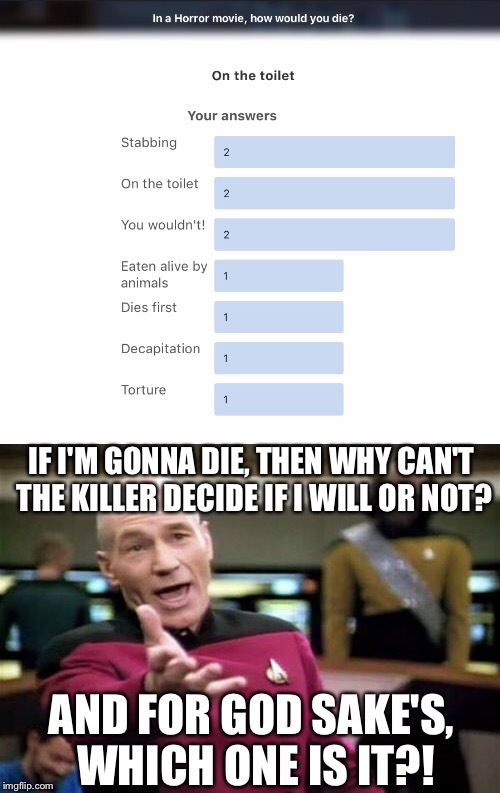 IF I'M GONNA DIE, THEN WHY CAN'T THE KILLER DECIDE IF I WILL OR NOT? AND FOR GOD SAKE'S, WHICH ONE IS IT? !